Leading Manufacturer of mass flow view air plasma system, plasma spray gun, arcjet 101/700 system, mass flow plasma spray system, mini plasma spray extension gun and arc spray system from Jodhpur. We have marked a distinct position in the market by providing a wide assortment of Mass Flow View Air Plasma System. The offered machine is fabricated using best grade components and advanced technology under the supervision of adroit professionals to meet the norms set by the industry. Further, our quality control team test this system on various predefined parameters to ensure their flawlessness. We provide this system to our esteemed clients at reasonable cost. MPS-50M/100M Mass Flow “View” Air Plasma Spray System. Powder Feeder: Single PF-3350-A (Optionally Dual Powder Feeder is available). 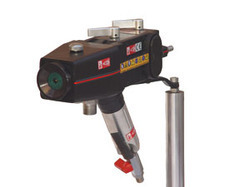 Plasma Spray Gun - Select any as per MPS-50M or MPS-100M system. PS-50 or PS-100 Plasma Power Source. Full set of input & output cables and hoses. With the years of experience and vast knowledge, we are engaged in offering a broad range of Plasma Spray Gun. 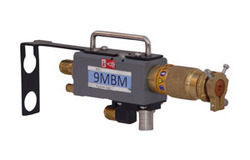 This non-corrosive gun is suitable for various thermal spray applications. Further, the offered gun uses less power and also allows users to achieve higher efficiency. Our adroit professionals make this gun by following all the industry laid standards. Further, our products go through stringent quality check in order to deliver defect free products to our clients. 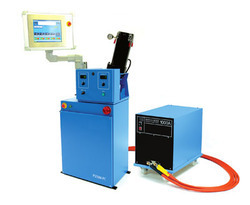 A 80 kw Plasma Spray gun suitable for a wide range of thermal spray applications. This system is designed for onsite Zinc or Aluminium spray work, gun is light weight most suited for hand held. Power source 700 amp with built in control panel [420/3P/50-60 Hz]. Wire drive unit with wire spool stand.Wire drum dispenser [optional] – 02 nos. 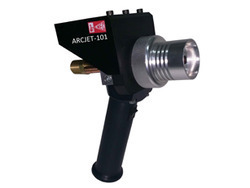 Arcjet 101 is a light weight (1.30 kg) gun with no moving parts. Ideally suited for manual operation. Being a quality centric name in the market, we are offering a comprehensive array of Mass Flow Plasma Spray System. The provided spray system comes with user-friendly interface and touch screen panel which makes repeatable coating easy. This system is made in accordance with the industrial standards by using only top notch components procured from reliable vendors and utilizing latest cut edge technology. Moreover, clients can avail these at market leading price. Backed by our dexterous professionals, we are able to provide a flawless range of Mini Plasma Spray Extension Gun. 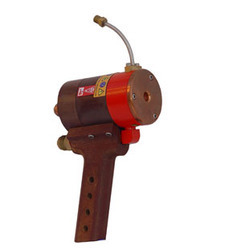 The provided spray extension gun is extensively used in internal diameter coating applications. Our product is intrinsically designed by procuring premium grade components and using hi-end tools to meet the standards set by the industry. These guns are tested on different parameters to ensure delivery of faultless product to our customers. Further, we offer these at rock bottom price. The Mini Plasma Spray Extension Gun is a versatile production gun designed for internal diameter coating applications. The Mini Plasma Spray gun operates up to 15 kW power in the subsonic mode and is available in two spray angle hardware configurations: 45º and straight-head. The ARCJET-96 Gun is light and easy to use. It has simple adjustments and requires minimal maintenance. Closed Nozzle System to ensure high bond strength and finespray. Pull Wire Feed System by Air Motor (1000 RPM for high melting wires and 2500 RPM for low melting wires). Forced air-cooled arc-head (patented) to keep air cap, nozzle positioner and spray head cool, thus preventing overheating at high amperes. 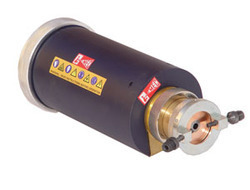 Compressed air requirement: 35 CFM FAD at 60-80 psig (5bar). Being a customer oriented firm, we are affianced in offering a premium quality range of Plasma Spray Gun. 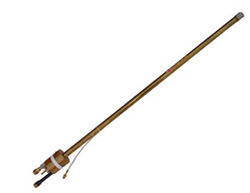 The gun provided by us is suitable for spraying purposes and is widely demanded in several industries. We manufacture this gun by using premium quality components and the latest technology in compliance with industry set norms. After considering clients’ different choices, we provide this gun in numerous specifications to choose from. The Plasma gun MF4 is a robust , well proven & universal gun to produce high quality plasma coatings upto 55Kw. High powder capability - optimum performance at levels upto 88Kw. High Plasma gas velocity - in access of 3050 m/s. High particle velocity - upto 610 m/s.